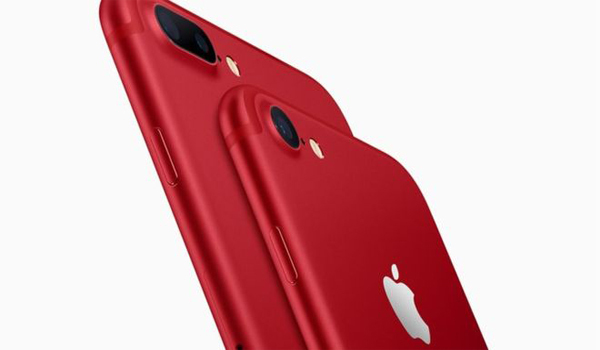 Apple has announced the launch of iPhone 7 and iPhone 7 Plus (PRODUCT)RED Special Edition featuring a vibrant red aluminium finish. The special edition red iPhone 7 and iPhone 7 Plus will be available to order online and via retail stores in 128GB and 256GB storage capacities across more than 40 countries and regions beginning Friday, March 24. The new red iPhone 7 and iPhone 7 Plus will be available in India from April, with Apple announcing Rs. 82,000 price tag for the 128GB Red iPhone 7 Plus. While Apple has not officially announced the price in India of other red iPhone 7 and iPhone 7 Plus variants, based on the pricing of the 128GB red iPhone 7 Plus, it's expected to be the same as other colours. Apple has also doubled the storage capacities on the two iPhone SE variants - from 16GB and 64GB, to 32GB and 128GB respectively while retaining their price tags in the US, with prices starting at Rs. 27,200 (MRP). Interestingly, this comes during a time that 16Gb and 64GB iPhone SE models are being sold at a discount in India. Back to the new red iPhone 7 and iPhone 7 Plus, which are being released in recognition of more than 10 years of partnership between Apple and (RED). Part of the proceeds of sales from Apple’s (PRODUCT)RED range go to the Global Fund HIV/AIDS grants that provide testing, counselling, treatment and prevention programs with a specific focus on eliminating transmission of the virus from moms to their babies. The special edition iPhone joins the current (PRODUCT)RED lineup, which includes the full iPod line of products, Beats Solo 3 Wireless On-Ear Headphones, Beats Pill+ Portable Speaker, the iPhone 7 Smart Battery Case and a range of accessories for iPhone, iPad, and Apple Watch.